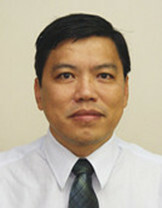 Kin Huat Low is currently a professor in the School of Mechanical and Aerospace Engineering, Nanyang Technological University in Singapore. He obtained his BSc degree from the National Cheng Kung University in Taiwan, his MSc and PhD degrees in Mechanical Engineering from the University of Waterloo, Canada. After spending two years as a Post-doctoral Fellow at the University of Waterloo, he joined School of Mechanical and Aerospace Engineering of the Nanyang Technological University. His teaching and research interests include robotics, vibrations, impact analysis, unmanned aerial vehicles, and machine and mechanism design. He is an author or co-author of about 250 journal and conference papers in the areas of robotics, biomimetics, robotics, rehabilitation, impacts, power transmission systems, structural dynamics, and vibrations. His works on biomimetics and exoskeleton have won the best paper in several IEEE international conferences.